For over three decades, our retreats have provided rest, renewal, and real life change to pastors, missionaries and their spouses. 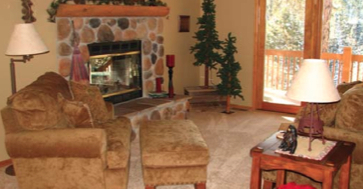 Guests are guided through a proven 7-day model by experienced staff retreat leaders to help deepen intimacy with Christ and discover balance for everyday life. 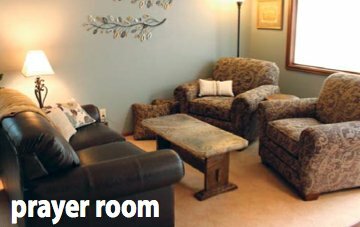 Each retreat has four couples/singles with times for group interaction, private sessions with retreat leaders, and personal time with God. 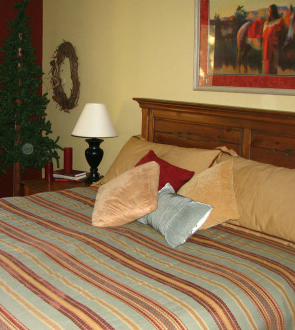 Guests stay in lovely accommodations and enjoy delicious meals. 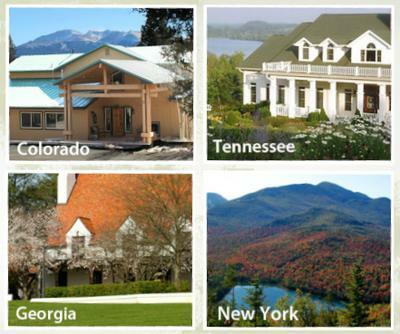 Explore our retreats hosted in the beautiful locations of Colorado, Tennessee, Georgia and upstate New York at www.SonScapeRetreats.org or call us at 866-766-7227. From our balcony was an amazing view of Pike's Peak which changed with time of day and weather. But the highest peak for us was an outstanding week of rest, teaching, fellowship, food, and solitude (first of a sabbatical). Larry and Barbara were excellent mentors teaching us biblical principles and from their own experiences. The staff and volunteers went out of their way to spoil us and they clearly achieved their goal. Thank you!! Our senior pastor committed suicide and left a wife and young children (5 and 7). Is there a place that can minister to them as you do for pastors and spouses? Thanks so much. We have recently sent a pastor to one of your retreats, and it was life changing. Although we aren't pastors ourselves, we have sponsored both pastor and missionary couples who have experienced a SonScape retreat. Their week gave them time to be, rest, relate to others who understand their calling and demands of ministry, and were renewed in every sense of the word... spiritually, physically, mentally and relationally. Beyond enjoying a God-inspired setting in nature, lovely accommodations (think 5 star suite -- we've stayed in them!) wonderful meals and time to fellowship with others, these couples had someone pour into their lives. SonScape has gifted, insightful retreat leaders, who have been in ministry themselves so they truly understand, plus an awesome, caring staff that goes above and beyond!